The Pioneer DJ DDJ-SB3 is a worthy update of the DDJ-SB2. With the added loop section, 8 performance pads and the controversial Pad Scratch feature the DDJ-SB3 has a bit of everything for everyone, and as such is an excellent choice for the starting DJ. The Pioneer DJ DDJ-SB3 is the third outing of Pioneer DJ’s entry-level controller for Serato DJ Lite, and the controller keeps getting better and better. 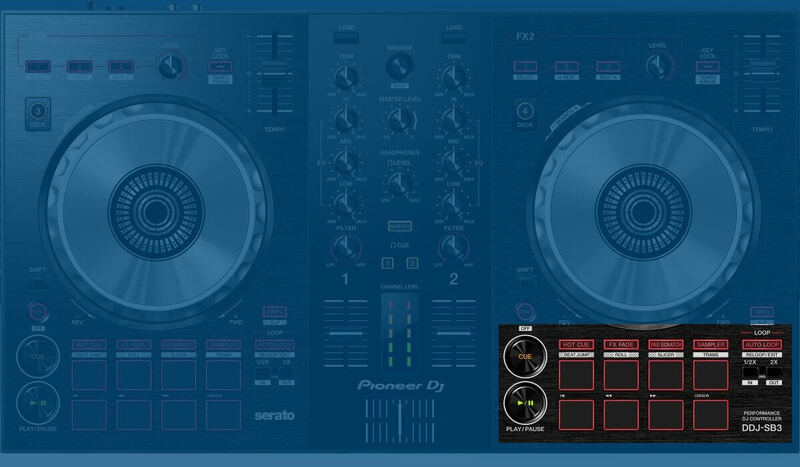 In this third version, the DDJ-SB3 finally gets separate play/pause buttons, so that the 8 performance pads can be dedicated to performance features only. The small and unpractical pitch fader is still there, and I still dislike it, but that’s about it on the negative side. The jog wheels are great, as always. The tension feels just right for track nudging and if you are into scratching, the DDJ-SB3 serve you out just fine. Quality wise, the SB3 is well built as expected. It’s still a plastic controller, but it doesn’t feel like it will be falling apart anytime soon. As this is an entry-level unit, the outputs are limited to a pair of RCA master output and a headphone output. But for its intended use, that should be good enough, as you probably won’t be hooking up the SB3 to high-end club sound systems with dedicated booth monitors. The SB3 follows the established design defined by the first SB controller. On top, the effects section with the undersized pitch fader, in the middle the jog wheels and various controls and underneath the transport and performance sections. The effects section of the DDJ-SB3 has 3 knobs to fire off 3 Serato DJ effects. Having buttons instead of knobs means that you cannot bring in effects gradually. The single level knob will control the amount of effect for all activated effects at the same time. It’s possible to select the number of beats applied to the effects and select an effect from the controller using the effect buttons and the shift button. On the DDJ-RB, the effects section allows to control 1 effect at the time, but with a great amount of detail. Is this a better solution than on the SB3? Depends if you use more than 1 effect at the time, and frankly, if you do that well, you probably are way too advanced to DJ with this type of equipment. The jog wheels on the DDJ-SB3 are as good as what we have come to expect on a Pioneer DJ controller: large enough, with a good amount of tension and overall really high quality. Around the jogs, there are a series of buttons such as a deck switch button, a vinyl/slip button, and a sync button. 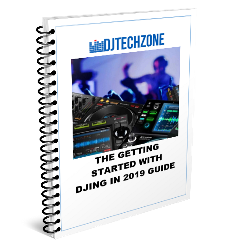 If you are aspiring to be a scratch DJ, the DDJ-SB3’s jogs are decent enough to learn on. I do feel that Pioneer DJ could have been a bit more creative with the jogs center section. 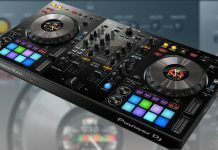 Numark has crammed a very useful LCD screen into the Mixtrack Platinum’s jogs while keeping the price reasonable, so I don’t see why Pioneer DJ couldn’t do the same. The performance section then. This section has evolved quite a bit from the previous iteration of this controller. First of all, the Cue and Play/Pause buttons are separated from the performance pads. This is a good thing since now all the 8 pads per deck can be assigned to performance functions in Serato DJ. Let’s look at the available performance functions. The first function is HOT CUE, no need for more details there. FX FADE is the second one, and it offers several fade-out effects to be used in transitions. 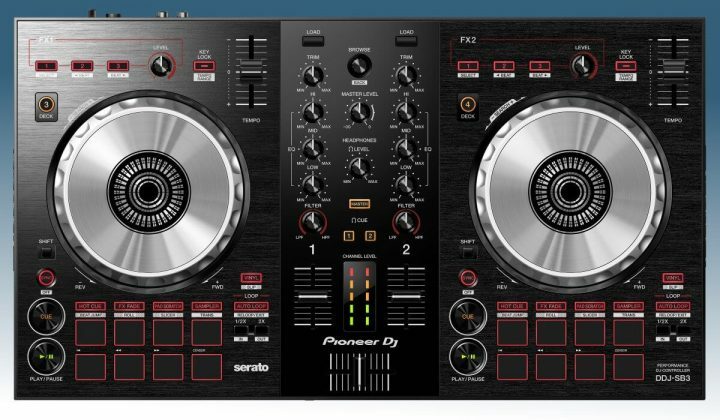 This is something that Rekordbox DJ users are used to and it’s nice to see Pioneer DJ carrying these over to a Serato DJ controller. Next, is the slightly controversial PAD SCRATCH. In this mode, each pad triggers a pre-recorded scratch pattern, performed by DJ Jazzy Jeff and when you press it, it will perform that pattern using the loaded track and the position of hot cue 1. It works pretty well, and you can have a LOT of fun layering the different scratch patterns over tracks. Also, it makes it easy to understand how the patterns play out since you can see how the waveform moves, making it a cool challenge to try to replicate them. There is also a SAMPLER function to trigger your Serato DJ samples. Using the SHIFT button you can call up the secondary functions, which are BEAT JUMP. ROLL, SLICER, and TRANS. Last but not least, there is the looping section. On the SB3, the looping section is separated from the performance pads, and that’s a really cool improvement. There is an autoloop section to quickly set a 4 beat loop, and buttons to half and double the loop. These buttons also double as in & out buttons for manual loops. Overall, the DDJ-SB3 has a very complete set of performance functions, certainly enough for any starting DJ. And so we come to the mixer. 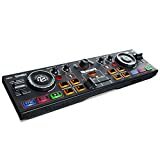 I must say, this is a very complete and competent mixer for a beginner DJ controller. There is a full 3-band EQ section, filter and gain knob per channel, decent quality line faders and a loose crossfader. There is also a VU meter, but only for the master channel. In the middle, there is master level & a headphone level knob, and a master CUE button next to the two-channel CUE buttons. If you are wondering where the CUE mix knob is, the master CUE button replaces that. The DDJ-SB3 being a beginner DJ controller, the inputs & outputs are limited. The SB3 has 1 RCA master output and 1 headphone output in mini-jack format. The DDJ-SB3 comes with Serato DJ Lite out of the box. If you prefer you can also use it with Serato DJ Pro, but that will cost you extra. 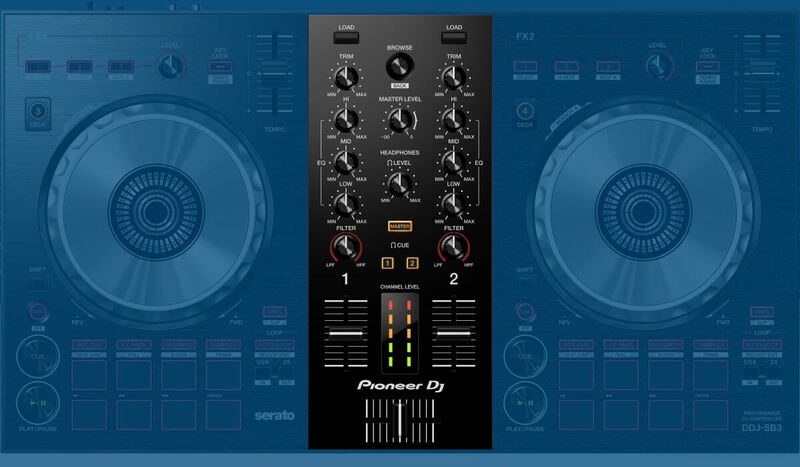 if you prefer other DJ software, the SB3 will also work with Virtual DJ 8. 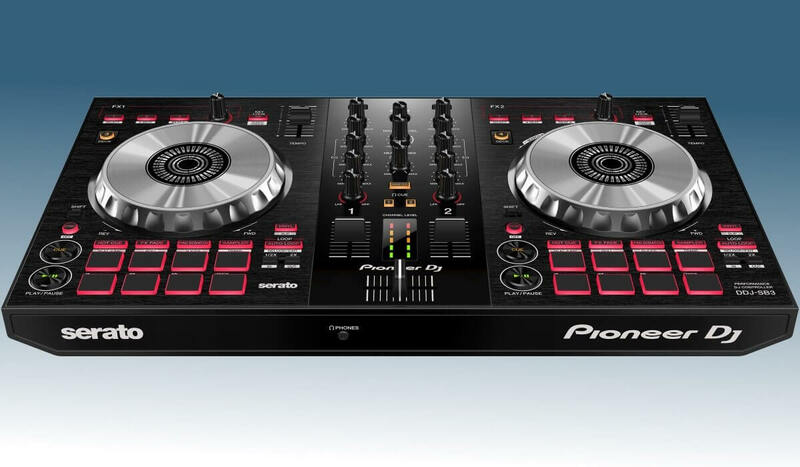 As a beginner DJ controller, the DDJ-SB3 scores a lot of points. Not counting in the small pitch fader, it has all the needed functionalities for starting DJ’s. Excellent jog wheels, good performance pads separated from the cue/play buttons and with a dedicated loop section and a good 2 channel mixer. The fact that you also get the Pad Scratch feature and other performance features makes this offer even more appealing. 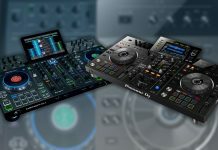 How well does the DDJ-SB3 stand out against other DJ controllers on the market? Pretty good I would say. 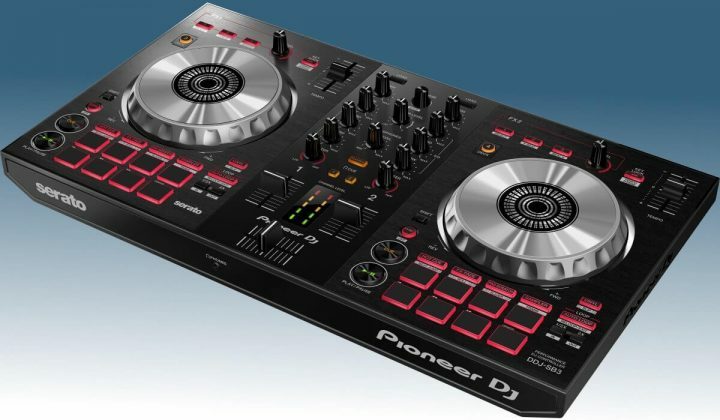 The obvious question you might have is if you should go for the DDJ-RB or the DDJ-SB3, as both are pretty similar. 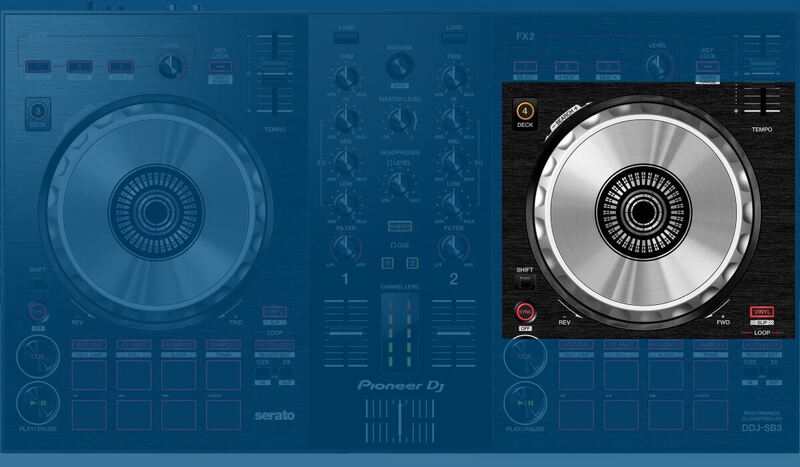 In my opinion, it’s a question of preference for Serato DJ versus Rekordbox DJ. If Rekordbox DJ seems more like your thing, then go for the DDJ-RB. 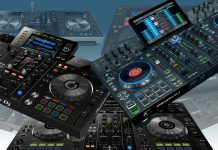 Other options are the Numark Mixtrack Platinum, which has large, high-resolution pitch faders and LCD screens and the Roland DJ-202, with a built-in sequencer and drum machine.